With the Bode Analyzer Suite (BAS) you have full control over the Bode 100 vector network analyzer. 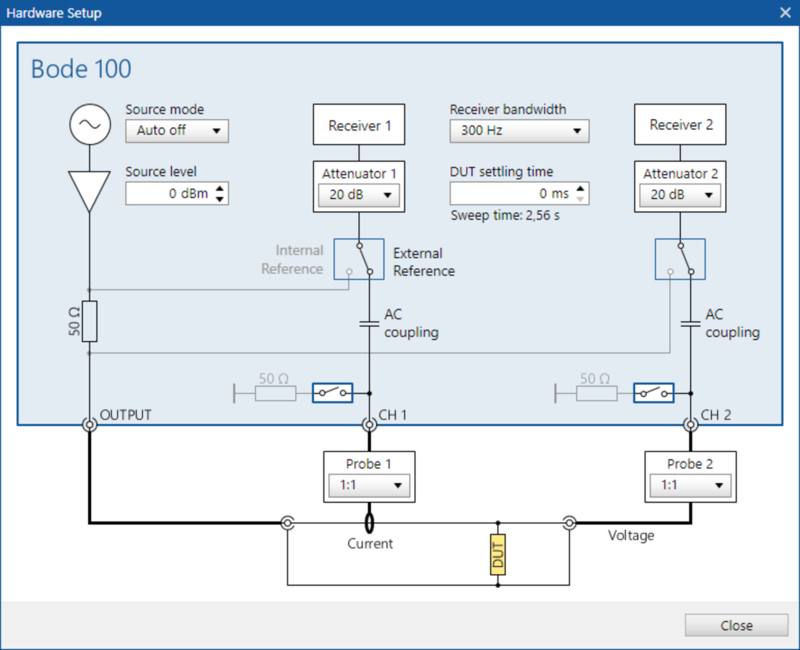 BAS is an easy-to-use and intuitive user interface running on your Windows PC. 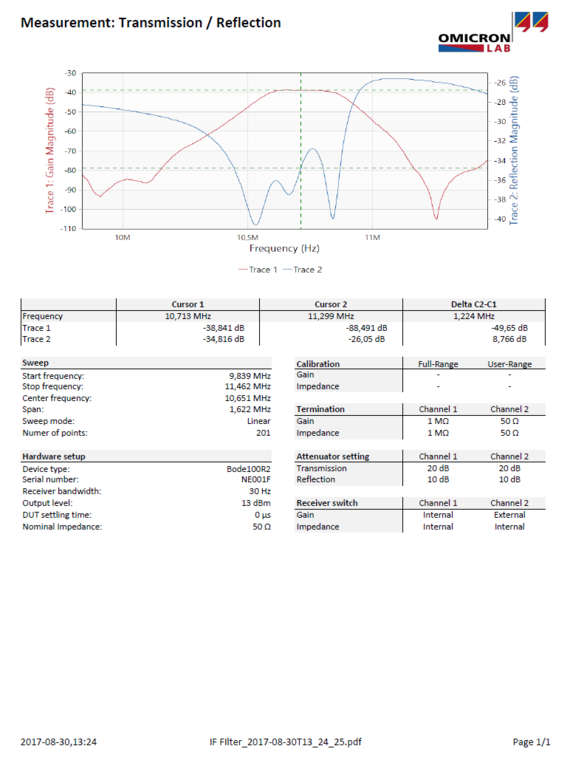 BAS helps you to quickly measure and analyze your device under test. It offers great functions to save, document and share your measurement results. 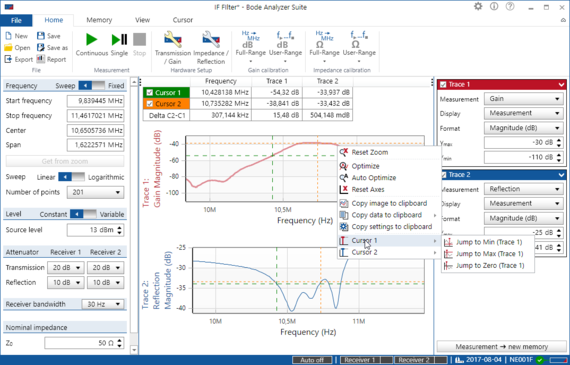 Bode Analyzer Suite is free of charge, so feel free to download it! 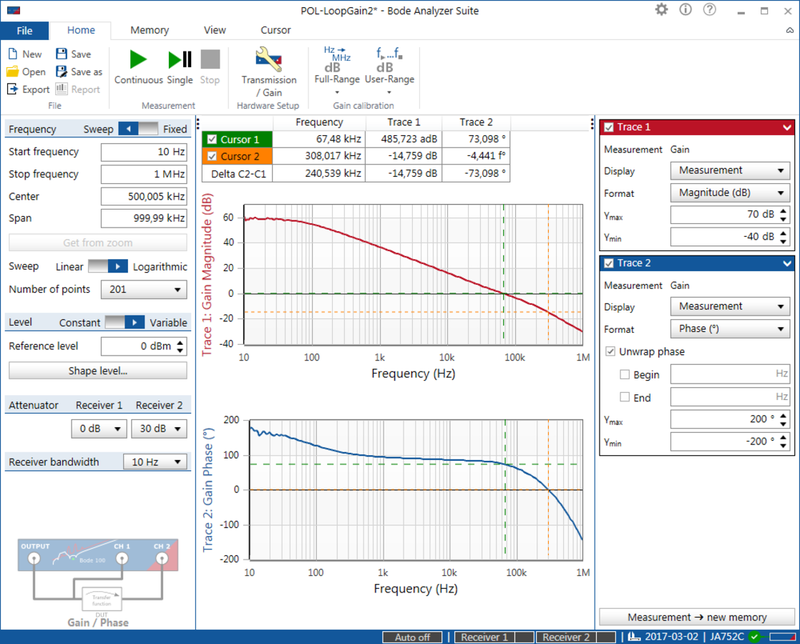 Bode Analyzer Suite makes frequency sweep measurements an easy task. Impedance, Reflection, Admittance, Group Delay, Gain and Phase can be measured from 1Hz to 50MHz. Define start frequency, stop frequency and number of points to generate linear or logarithmic frequency sweeps. Cursors help you to find resonance frequencies or zero crossings in the measured curves. Besides normal x-y diagrams, Bode Analyzer Suite also offers Polar, Nyquist and Smith diagrams. All diagrams support full cursor and zooming functionality. 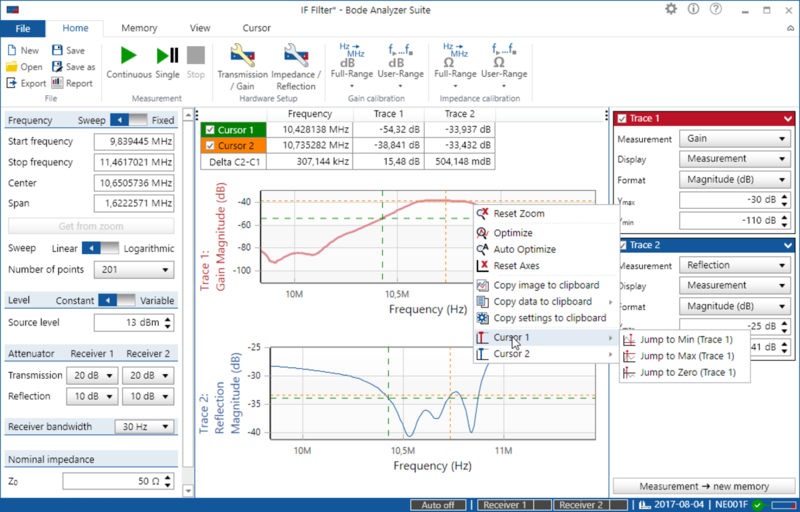 Besides frequency sweep measurements Bode Analyzer Suite also offers fixed-frequency measurements. The result can be displayed in either cartesian or polar form. Series and parallel equivalent circuit parameters are calculated during measurement and updated immediately. Use the one-click memory curves to display the change of your DUT in one single graph! Memory curves can be renamed and re-styled according to your needs. Cursors can be attached to a memory curve to read the values of the memory traces. 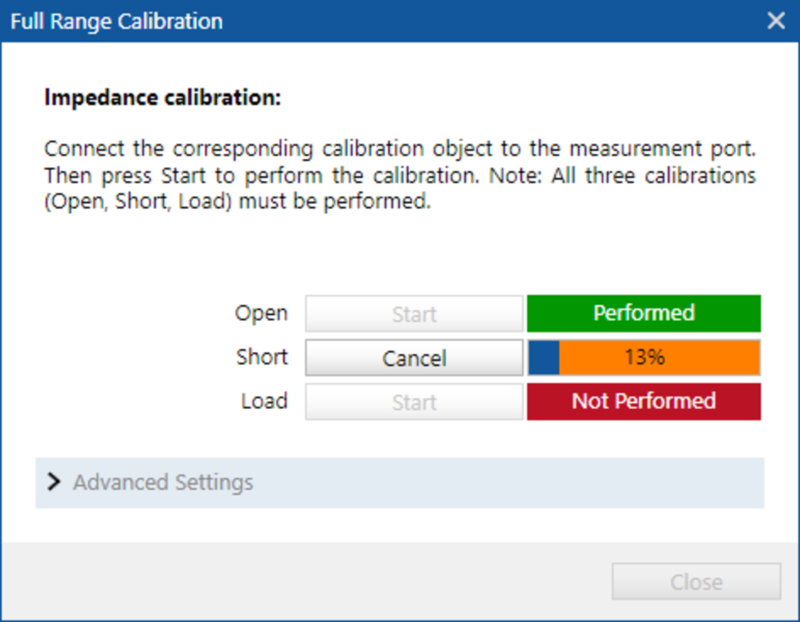 Pre-defined measurement modes make measurements simpler and ensure correct device setup and connection setup. 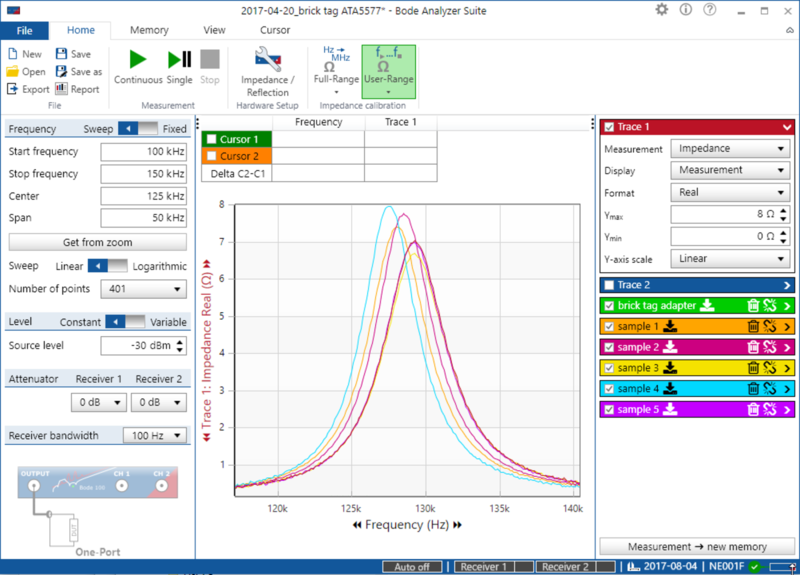 The Bode Analyzer Suite offers a high variety of measurement modes to perform Transmission/Reflection, Gain and Impedance measurements using the Bode 100. Measure S-Parameters S11 and S21 in the 50 Ω domain or Gain with 1 MΩ impedance. 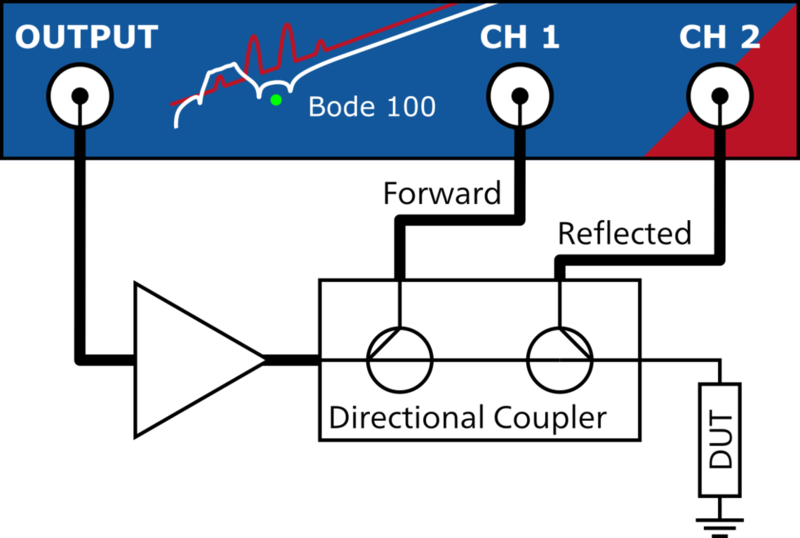 Measure Gain/Phase respectively voltage transfer function using two input ports. 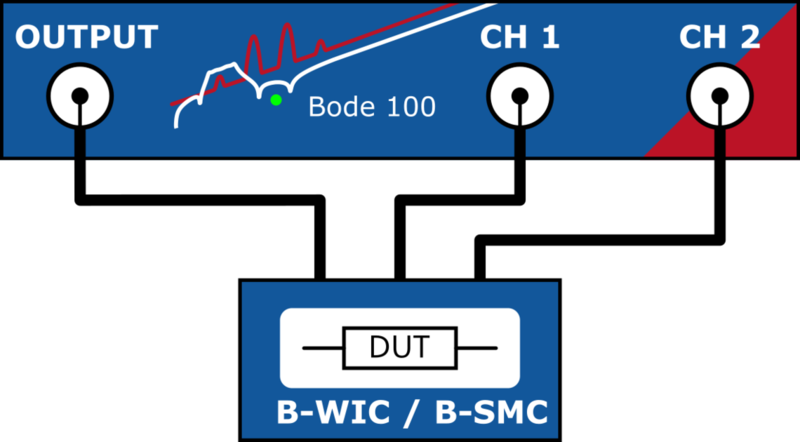 Input port impedance is software-selectable (1 MΩ or 50 Ω). Measure reflection/impedance using an external amplifier in conjunction with an external coupler. 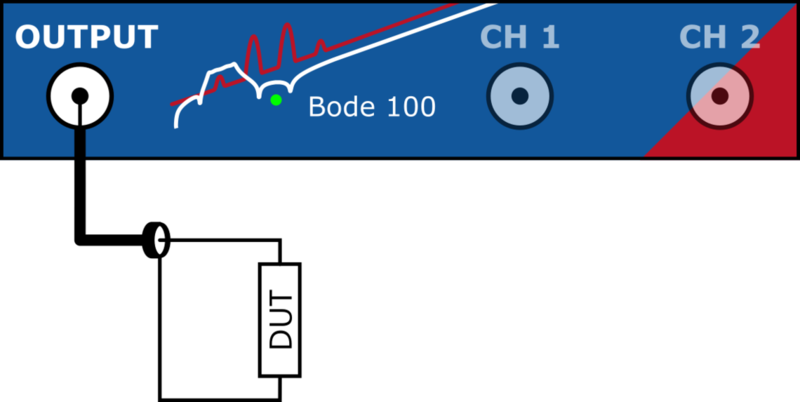 Measure reflection/impedance of a one-port DUT connected to the output port of Bode 100. Measure impedance of passive THT or SMD components using the impedance test fixtures B-WIC or B-SMC. 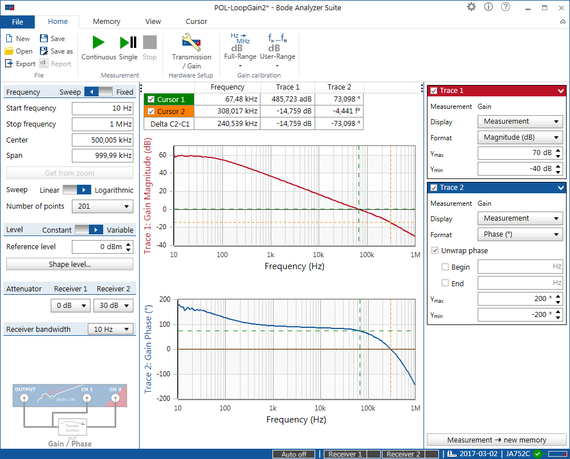 A measurement configuration very sensitive for low impedance values and therefore suitable to analyze low-impedance devices such as ESR of ceramic capacitors. A measurement configuration very sensitive to high-impedance. Suitable for high-impedance measurements such as piezo-element characterization. Voltage/Current equals Impedance. This setup is very flexible and especially suitable to measure input impedance and output impedance of active circuits such as DC/DC converters. Configure Bode 100 according to your needs! The hardware setup helps you to configure the device hardware and connection setup correctly. You can switch the input impedance from 50 Ω to 1 MΩ and enter external probe factors or adjust the receiver attenuation/range. With the Bode Analyzer Suite it is easy for you to create a one-click pdf report on your measurement, including all relevant device settings and measurement curves. You can also copy and paste the diagrams directly into a word processor like Microsoft Office Word. Furthermore all measurement values can be exported to a .csv file or .xslx file for further processing in any spreadsheet application or math program. In addition Bode Analyzer Suite 3.0 or newer support direct Touchstone file export. Note: You can save every measurement to a .bode3 file. It contains all measurement data, calibration and device settings for archiving and/or sharing measurements. 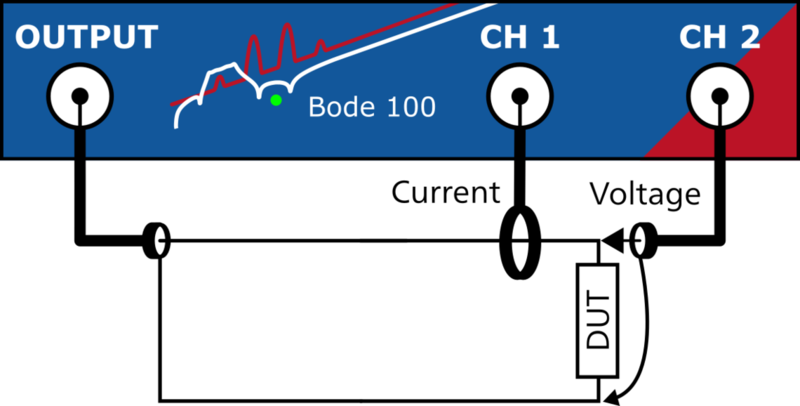 Bode-files can be analyzed with the Bode Analyzer Suite even if no Bode 100 hardware is connected. 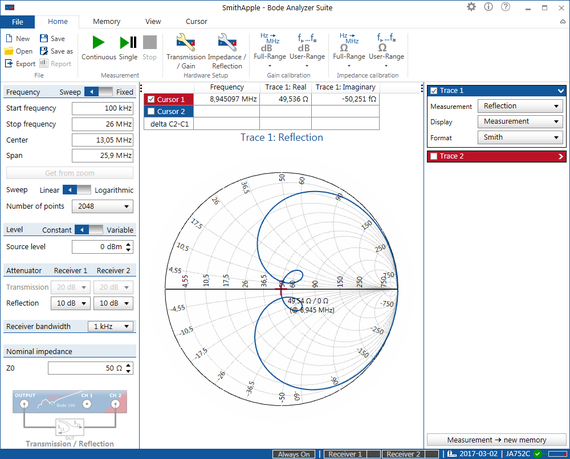 Bode Analyzer Suite features an interactive user interface with cursors and cursor grid that show cursor values and special calculation results. Use the cursors to find minima and maxima in the curves or any specific values.All diagrams can be zoomed and optimized to automatically adjust the axis scaling to the measurement results. You want to compensate the cables or the measurement setup? The Bode Analyzer Suite offers THRU calibration for the Gain/Phase measurements and OPEN SHORT LOAD calibration for impedance/reflection measurements. 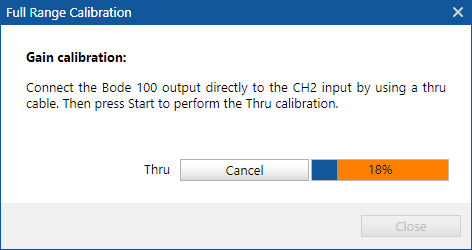 You can apply all necessary settings in the calibration window, the calibration state is shown graphically. 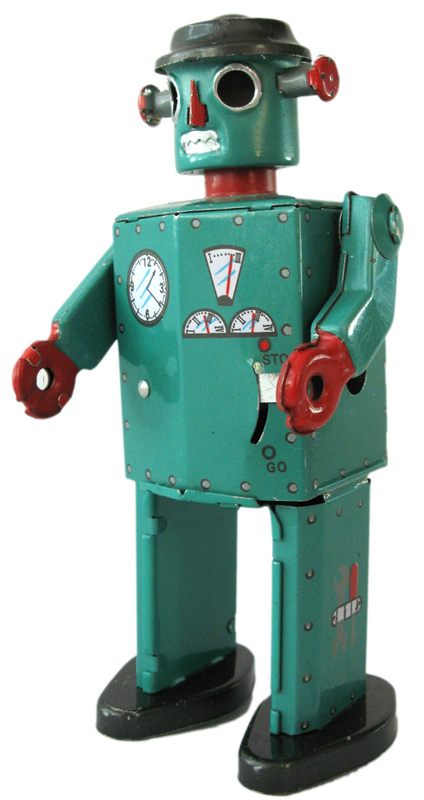 ... therefore we added an Automation Interface to the Bode 100 right from the beginning. Today many customers are already using this Application Programming Interface (API) to build automated measurement setups involving the Bode 100. 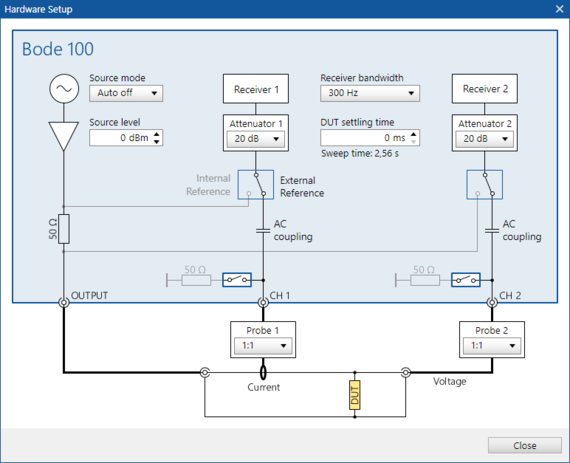 In addition there is a LabVIEW® instrument driver available for download from www.ni.com. 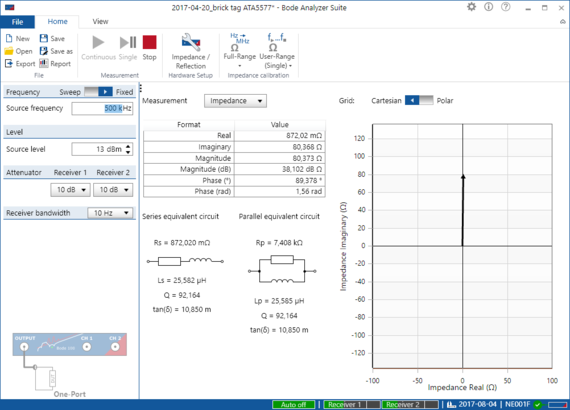 Bode Analyzer Suite 3.0 or newer features the latest Automation Interface version 3.X that comes with several new features and advantages. Find out more about the Bode Automation Interface 3.X by having a look at the Automation Interface Reference. 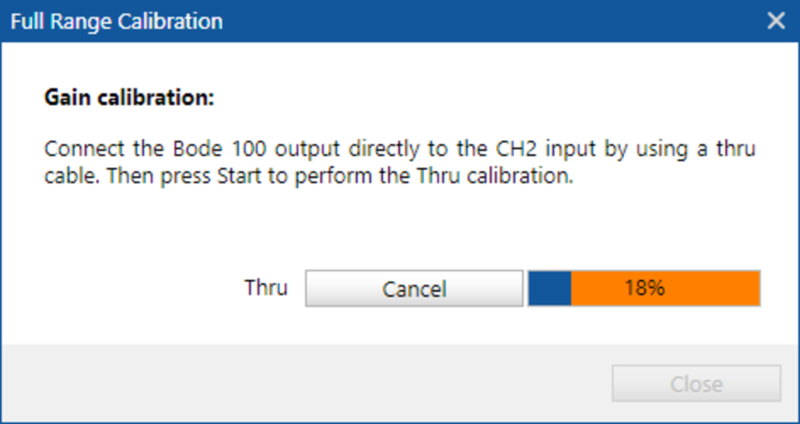 The Automation Interface is included in the Bode Analyzer Suite installer. Check out the Bode 100 download area. 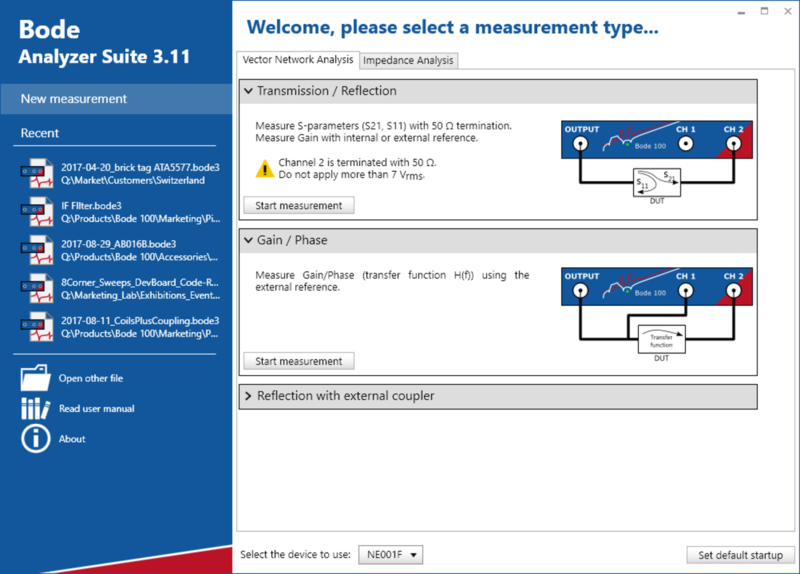 Bode Analyzer Suite 3 or newer is compatible with Bode 100 Revision 1 and Revision 2 devices. Even without a Bode device, the Bode Analyzer Suite can be used to view measurement results and export measurement data. ConfigureCustomSweep(): Frequency points now by ref because of troubles with "VBA"
The historic initial version of the Bode Analyzer Suite.